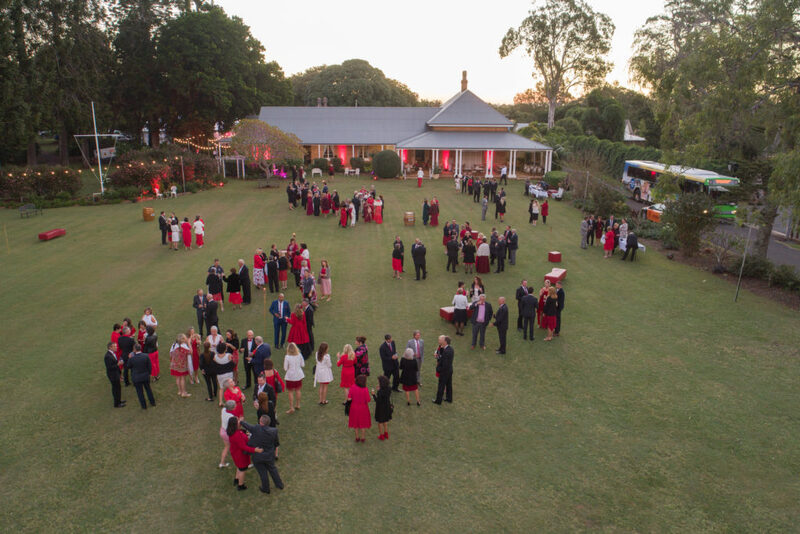 Tickets are now on sale for the annual Dîner en Rouge – Mayor Karen Williams’ premier fundraiser event to support Redlands Coast residents affected by domestic and family violence. Now in its fifth year, the event has helped raise more than $260,000 since its inception. Cr Williams urged people to support the gala event and enjoy a night of exceptional dining and entertainment while helping others in need. “Dîner en Rouge shines a light on the serious social issue of family and domestic violence,” she said. Cr Williams said this year’s Dîner en Rouge would again be held at a location undisclosed to participants until they arrived. “By not revealing the location we reflect the secrecy that often shrouds incidents of domestic and family violence,” she said. “Sadly, our city accounts for about three per cent of all domestic and family violence protection orders applied for across Queensland. “That is more than 600 a year – more than 12 each week – and that is just the reported cases. Cr Williams said Dîner en Rouge was held during Domestic and Family Violence Prevention Month, with all proceeds going towards helping Redlanders affected by the issue. “We still need to do more – we need to educate our community and raise awareness of existing, enhanced and new services on offer,” she said. What: Dîner en Rouge – an annual fundraiser to help Redlands Coast residents affected by domestic and family violence. Master of ceremonies: Heather Foord. Guest speaker: Rebecca Poulson – a domestic violence prevention advocate with a powerful story to tell. Entertainment: Tenori, Honey Music, Redland City Choir and others. When: From 4.30pm, Saturday 18 May 2019. Where: It’s a secret! Meet at Redland Performing Arts Centre, 2/16 Middle Street, Cleveland. Who: Business leaders, government representatives, community groups and the general public. Dress code: Formal attire with a red and white theme – red is for Redlands Coast and white is to acknowledge White Ribbon Day, the national campaign to stop violence against women. Tickets: $175 each or $1700 for a group of 10 tickets (includes GST). By telephone during business hours on 3829 8131. In person at Redland Performing Arts Centre 2/16 Middle Street, Cleveland from 10am to 4pm Monday to Friday; 10am to 1pm Saturday. Redland City Council is proud to partner with local Zonta clubs, Soroptimist International, Rotary Club of Cleveland, Redland Foundation and other local domestic and family violence service advocates on this important event that helps give a voice to those who need it most.